Looking for some really good cool math titles? Can?t stop your addiction for driving games? Don?t worry at all! In this article, CB1.org is going to reveal a list of top 5 most awesome cool math games featuring the driving element. The titles I mention in the following are ideal options focusing on problem solving. Are you a big fan of problem solving adventure game genre? If yes, then you should give Wheely, a car driving cool math puzzler, a try. Starting with the first game, you will help a little red car named Jolie find a way to the racing competition. Rather than being displayed in the car shop, Jolie wants to become famous ? that?s why he must win the championship. Since Wheely is a point-and-click game, all you need to do is interacting with special objects for navigating the car. With a total of 8 games, the Wheely series is about the journey of the red car through many different places. Get ready for all the cool quests? Let?s find out! Hop in your Awesome Tank and get ready for some actions! Once tapped Play, imagine yourself standing in the middle of a very heavily armed tank. You will die if doing nothing; thus, it?s better to prepare for upcoming fierce combats. Don?t be afraid! The ultimate mission of this cool math shooting game is ? destroying all enemy tanks and turrets in sight. Be able to take them down completely? This very intense game is packed with firepower. 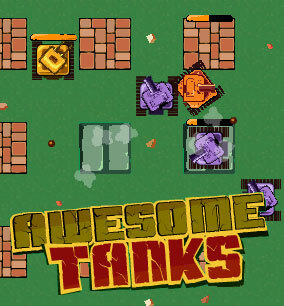 While playing Awesome Tank, you will feel thrilled and excited when defeating all the enemies. You are allowed to use the arsenals as many as you want. Try to earn profit to upgrade your tank. What I like most about the game here is its incredible visual art and sound effects, two important elements for the gameplay. Quickly jump in Awesome Tank and blow away all of your enemies through 15 different levels. The sequel of this title is also available for a challenge! 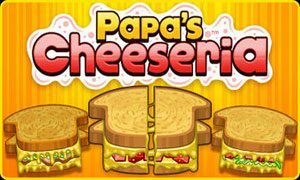 This game can be downloaded as an Android or iOS app. Click here! Are you good at controlling a truck loader? If the answer is yes, then here comes a game that can put your skills on test. In Truck Loader, you have a very simple task; that?s, finding an effective way to place the boxes or crates inside the truck. Of course you cannot do with your bare hands; in fact, you need the assistance of a small truck loader. Make use of the vehicle?s magnet to grab and deliver all the objects inside a big truck. When you do the task correctly, the green-colored marker will display ? meaning you can leave the truck. Like other point-and-click interactive cool math games, you need to press certain items for activation or getting goods. 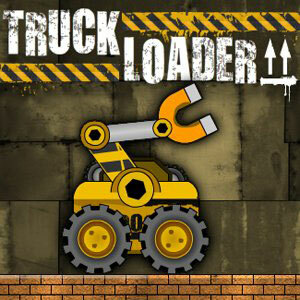 Truck Loader is a combination of physics and puzzle elements in a platform-based environment. The series has five installments worth playing! Is it true that you always want to prove your driving and parking skills? Now your chance has come ? 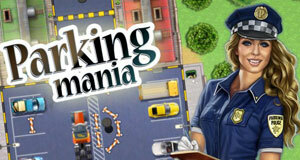 instantly participating in the most skillful and addictive driving and parking game: Parking Mania. This is a fast-paced and thrilling driving game in which players are given a small sports car used to practice your parking skills. The task in each level is: you have to park the vehicle correctly in the designated spot. There are only 5 lives per level, so steer your racing car proficiently but carefully. Never crash into any object or you could waste a life. Also, do not forget to collect gold coins to unlock new advanced cars. With plenty of vehicles ranging from sports cars to big-rigs along with huge variety of gameplay, Parking Mania will surely give you hours of entertainment. The game provides 8 different parking challenges, so will you be able to get 5 stars in every challenge? Go on this site to download Parking Mania. What to do in this driving game? The quest, in each stage, is quite simple ? all you need is to control your Jelly Truck and reach to the finish line without crashing into any obstacle. 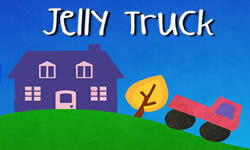 Drive the vehicle through the jelly city, which is a place filled with many very colorful and yummy jellies. Surprisingly, your truck is also made of jelly. Tons of holes are set up in specific levels. Beware that your journey in this sweet land will stop once the truck fall into those holes. The only way to prevent that to occur is ? building bridges to connect two edges of the road. While moving on the way, players will be given several daily tasks set up already just to test your skills. For example, steer your truck on the prominent walls ? the tip is to navigate it to the elevator for an automatic lift. It would be awesome to move under the tunnels. Dodge over heavy balls or big fans, or your vehicle will be damaged. Do you agree with the CB1.org list? These games above always rank in top places in the cool math game list and are highly rated. Give all a try as they can help players improve the problem-solving ability. If you don?t like car games, then check out top 5 best moto games for a brand new experience. Leave your question in the comment section (if any)!